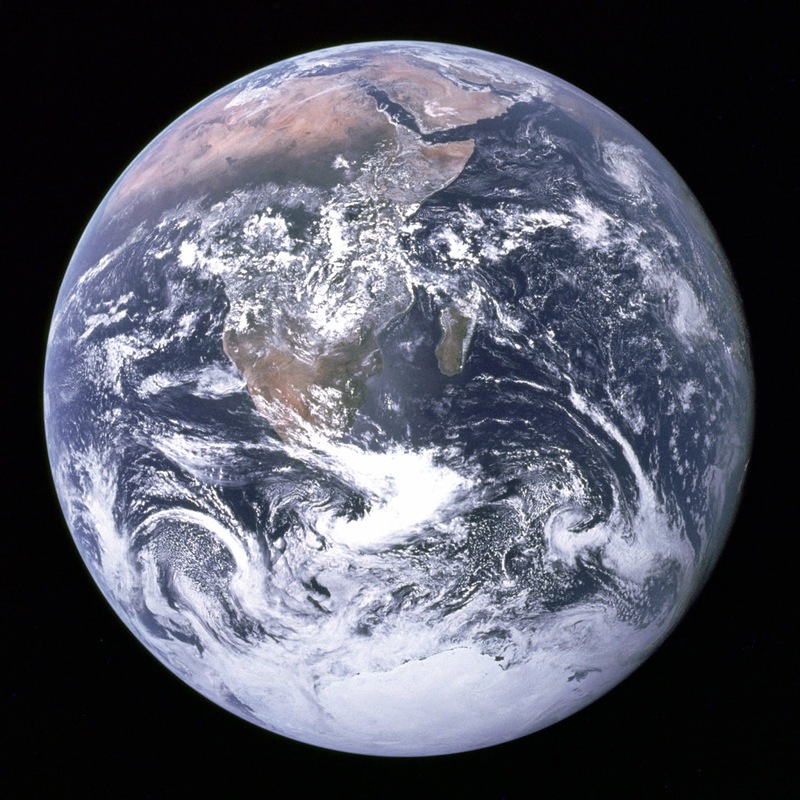 One of the most famous images of all time is the photo of the Earth taken by the Apollo astronauts. Hanging in the black void of space, the Earth looks fragile, precious. All human history has taken place on the delicate blue jewel suspended in nothingness. This realization strikes a chord in our collective consciousness and has been especially influential on the modern environmental movement. While this view of Earth from a distance is a powerful image, it hasn’t changed how we think of our home planet. Instead, it is like a piece of art hanging in our mental gallery and mostly ignored. The dominant worldview is of Earth as an economic resource, divided by boundaries and borders. We may also understand Earth as provider, or even as mother, but the habit of regarding Earth as economic resource is never far from the surface. If we treated our human mothers the way we treat Mother Earth, we would be arrested for assault. Even mainstream environmentalists argue that we must protect a certain habitat because someday we might find a cure for cancer there. Or that we should develop eco-tourism to help the local economy. While there isn’t anything inherently wrong about curing cancer or providing a livelihood for people who would otherwise be destitute, it reflects an underlying view that Earth’s value comes from its economic potential. Conceptualizing the Earth in this way places Earth in the category of the Other -- something outside ourselves that exists for us. It is separate from us, and thus can be exploited for our purposes. We not only see Earth as provider, but as limitless. We like to see ourselves as having limitless potential, able to achieve anything. It’s an unhealthy fantasy. Growth without limit is cancer. Everything has limits and recognizing them is desirable and necessary. In the 1970s, the idea of consciously choosing to limit economic growth for the sake of preserving the environment was briefly considered. Those who recall that era may remember President Carter installing solar panels on the White House roof and telling Americans to conserve energy, while setting an example by putting on sweaters and turning down the thermostat. Unfortunately, America subsequently embraced the idea of endless economic growth. In a very literal sense, we are the Earth. Our bodies are made of the stuff of the Earth. The atoms and molecules that make up every part of us have been circulating around the biosphere since life began. The Earth is us, and we are the Earth. What we do to the Earth, we do to ourselves. By letting go of the Earth as Other paradigm, we make space for the possibility of Earth as Self. By un-learning the mindset of the Earth as an endless provider, we begin to form a healthy sense of our own boundaries and limits and learn to function within them. This mindset has been embraced by many indigenous cultures the world over for millennia. Rediscovering it may be the key to our survival. 1. Melting into the Earth. On a warm day, go outdoors to a quiet place where you can be undisturbed. Lie down directly on the Earth, flat on your back or on your stomach. Spread your arms wide. Breathe slowly and deeply, and spend a minute or two just relaxing. When you feel relaxed, imagine yourself as water soaking into the Earth. There is no separation between you and the ground beneath you. The cells of your body flow into and between the cells of the soil, merging into oneness. Allow yourself to experience this completely. After fifteen to twenty minutes, slowly come back to normal awareness. 2. Compost Blessing. Small-scale composting of your kitchen scraps into a vegetable garden is easy, and the ultimate in recycling. When you bring the compost out to the bin, bless it. Say a simple phrase, like “Blessings on your journey around the cycle of life,” or offer a prayer of your choosing. Visualize the compost breaking down into rich soil and nourishing next year’s tomatoes. Imagine yourself eating those tomatoes, realizing that the compost, the tomatoes, and you are all part of a greater whole. Consider yourself as a child of the Earth. What sort of child are you? Where are you in your development? What is your personal relationship to Earth, your mother? Broaden the focus. Answer the questions above with all of humanity as the child. If the Earth is our mother, what sort of mother is she? What stage of motherhood works for the image nowadays? Is she a young mother? Elderly? Pregnant? The mother-child relationship can also have a shadow side, dysfunctional and unhealthy. Is there a shadow side to the human-Earth relationship? What is it? Culture Quest. Gather books or articles of indigenous creation myths from many cultures. Break into smaller groups of three to four, and have each group read a myth. Discuss in the small groups how the Earth is envisioned in the myth, and how this differs, or doesn’t, from the way we envision the Earth today. Consider the role of the human in each story. Come together again as a larger group and discuss the various images of Earth. Which story most resonated? How do indigenous concepts of the Earth as mother compare to modern or Western understandings of this idea? How does classifying something as Other affect how we think about it? 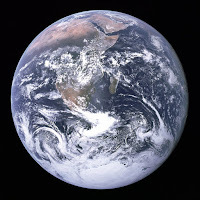 The mainstream environmental movement often frames its arguments based on the idea of preserving the Earth as a resource for human use (for example, the possibility of discovering new medicines in the e4ndangered rainforest). Do you find this approach helpful or problematic? Why? Is it possible to assign economic value to all the Earth provides us? Would this be helpful or harmful?